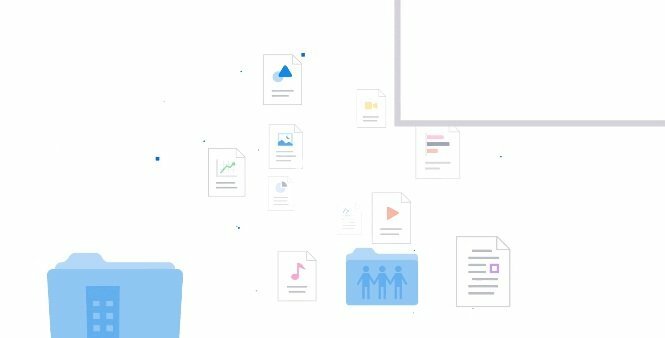 What is Dropbox Smart Sync? In general, Dropbox Smart Sync is a feature created by Dropbox that allows business owners and casual users to save space on their hard drive. You’ll be able to access each folder and file on your Dropbox account. You can use it on your desktop or laptop and use no hard space. Basically, Dropbox Smart Sync was created to meet modern business needs and demands. In a nutshell, this allows you to see your files on your desktop or laptop regardless of your hard drive space or how many files are in the software. When you open your files, they become synced to your computer. These files and folders are placed on your computer and are ready for intimate access (without a VPN) or offline access. This makes it easier for you to send files to your corporate drive or the required email attachments. As of now, Dropbox Business Teams or Dropbox Professional customers can have access to Dropbox Smart Sync. What Can I Do With Dropbox Smart Sync? Select their own sync settings for new folders and files that you share with your employees or friends. Choose which folders or files are available via your local computer or available online. Additionally, Smart Sync is great for IT businesses that are either managing 30-100 servers or trying to control a large network. These enable easier data management. Dropbox is great for almost any business, but IT businesses will see a lot of advantages when using their software. First, their employees will want to collaborate with their teammates and colleagues with any device. Addressing these needs can be expensive when using a traditional file server setup. This will leave you with planning, software costs, hardware costs, installation and the maintenance that needed to help make an available and running server. Smart Sync has a better way for users to access their files without any downtime. And since most of the business-required content has been transferred to Dropbox, they can access and browse through terabytes of secure data without needing your IT team to monitor, maintain, backup and build storage systems. This means that your organization can collaborate on a larger scale even without professional assistance. Dropbox has a security team that’s backed by dozens of experts, while most businesses or customers have a limited or no amount of security staff. By using their developed security posture, you don’t have to create custom security policies through multiple systems. The feature makes it easier for you to give top-down admin security and control over your files. This new feature allows your users to access any file that you permit them to use. It only requires their username and password. Also, system admin can set your Smart Sync’s default behavior in order to automatically sync or keep data in your cloud when a new user enters your team for an intense approach to device storage. Comparison make competition. Compare pCloud with Dropbox’s Smart Sync features. We see this as a good opportunity to really test things up and make up a winner between them. Check out our pCloud vs Dropbox details here as which side manage to walk out as a winner. Here we compare some features between the two to see which one is better for network administrators, users, and small business owners. pCloud Drive allows new users 10 GB of free storage when they sign up with them. This is cheaper than Dropbox as it only allows users to have 2 GB of storage. While Dropbox has a free tier, it isn’t as generous as the amount of storage space that pCloud provides. pCloud offers two subscription options: Premium and Premium Plus. Both plans can be billed on a monthly or annual basis. In fact, they offer a Lifetime Subscription Plan for only about $350. These plans offer 500 GB to 2 TB of storage. The premium plan is $5.00 monthly, ($47.88 annually) and about $180 for their lifetime storage. Premium Plus is $9.99 monthly, $93.88 annually and around $370 for its lifetime plan. While it isn’t the cheapest storage platform, its lifetime plans have great value though in our opinion. This is why we say it has the best deals when it comes to storage (get the lifetime plan instead). Dropbox has two popular paid plans, Professional and Plus, they have 1 TB of storage. Dropbox plus costs about $9.99 a month and an annual plan of $119 (giving it a discounted rate at about $8.12 per month if paid annually). We suggest that you only get the annual plan if you’re serious about using Dropbox for storage. Dropbox Professional is about $19.99 per month or about $240 annually. It comes with 120-day files, advanced image and text search. However, it’s hard for us to recommend Dropbox from a cost perspective. Some might argue that Dropbox give a better impression and reliability compare to pCloud. Well, I would really suggest you to check out my pCloud review here. 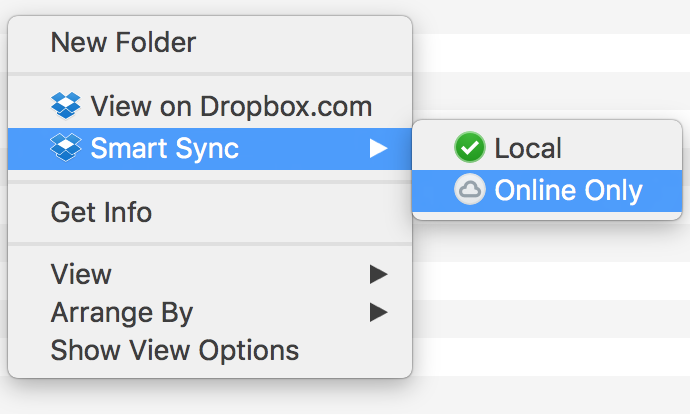 Dropbox loses once again in this although their Smart Sync feature allows you to control how it syncs your data. pCloud has the same features, which had been in use even before the launched of Smart Sync. Also, their sync speeds are faster than Dropbox, making it easier for users to transfer hundreds of files at one time. Also, pCloud comes with a crypto feature which enhanced the security and encryption of the files for client. Dropbox had none of those. Dropbox has a simple to read interface and allows users to manage their files through its drag and drop system. But, you’ll have to pay for Dropbox Professional in order to receive their advanced file sharing features. pCloud has good file security and also an easy to use interface. Both providers had a really good UX for clients. They supported all sorts of platforms and devices as well. This makes them a really good third party cloud storage solution. Same for Dropbox and pCloud, users can also share files on its web app. This also saves space for users who have limited disk space or slow computing speeds. Overall, Dropbox Smart Sync is great addition if you’re trying to keep your company’s files properly managed. Despite all the drawbacks and problems that Dropbox is facing. However, the same can be achieve with pCloud with a lower cost and greater value. Find out what is the outcome winner if we out Dropbox and pCloud together in pCloud vs Dropbox here. Regardless of which you pick, all you really wanted is to have a better organization, and complete file protection. Disclaimer: The information made on this post was based from my own testing. I am a lifetime user for pCloud. I subscribe one month of Dropbox Professional for testing purposes. All the opinions above are solely mine but also the experience of a real user.